Welcome to ‘France et Moi’ where this week I am talking to author Jane Dunning about what France means to her. 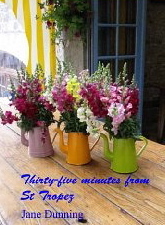 Jane has spent many happy times holidaying and house-sitting in France which inspired her to write her first novel Thirty-five minutes from St Tropez that I reviewed here. Jane: I think it’s the way the French strive to maintain their old customs. They prefer going to the boulangerie despite the fact that a baguette is about twice the price as from the supermarket. The weekly markets still seem to be very much alive and well used by the locals in both country areas and in the cities. Contrary to their reputation in the UK, I’ve always found French people very friendly, polite and helpful. Trying to speak French is the key! Jane: This is a difficult one! 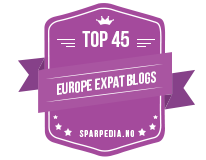 I’ve been to France at least once a year since 1990 - I’ll have to plump for the four months my husband and I spent in the département of the Var on our first house-sitting assignment. We looked after three lively Jack Russells and a slightly more sedate Labrador. It was love at first sight for me! The house was set on a vineyard, surrounded by the umbrella pine-clad hills of the Massif des Maures. The owner kindly allowed us to have friends to stay and, because we were there for such a long time, it really felt like we lived there. We had our favourite markets – Lorgues and Les Arcs for proper shopping and also St Tropez for a touch of glamour. We arrived in January and saw the spring develop – mimosa in bloom in February, irises in late March and the glorious wisteria in April. 3) Provence is the setting of your book Thirty-five minutes from St Tropez . Does this region of France have a special place in your heart? Jane: Yes, I adore it. I blame it on Peter Mayle! His 1989 book A Year in Provence was one of the first of its type and I loved it. The very next year, we rented a house in Claviers, a small village in the hills inland from St Tropez and I was hooked. We’ve had wonderful holidays in coastal Cassis, hill-top Vence, and also in tiny Graveson and near Cavaillon – both ideal for exploring beautiful Peter Mayle country! I was lucky enough to spend a month exploring eastern Provence in 2007, firstly staying in the town of the famous lemon festival, Menton. Our next stop was near to Antibes and our last few days were spent in Beaulieu-sur-Mer, a small town adjacent to Cap Ferrat. This area’s scenery is beyond spectacular. A couple of years ago, we looked after an adorable French Bulldog in Juan-les-Pins for about six weeks. He became the most travelled dog on the Riviera – we took him along the coast to Antibes, Nice, Monte Carlo and Cannes, his favourite! House-sitting has certainly allowed us to spend longer in France without the expense of accommodation. We’re hoping for another long house-sit this winter and my fingers are crossed that it might be in Provence! Jane: The beauty of the country is my first inspiration. I love all the coastlines, the different architecture from thatched cottages in Brittany and Normandy to the grand châteaux of the Loire. I also think it’s because I feel I know it quite well and have absorbed its way of life to a certain extent. I’ve stayed in 85 different locations for varying lengths of time, which has given me a real taste of its diverse regions. Jane: In reality this is a difficult question, as I love so many places in France and have considered buying in Brittany, the Charente-Maritime (particularly Saint-Palais-sur Mer), near the Dordogne or Lot rivers and, of course, Provence but have found it impossible to choose an area that ticks all the boxes. My fantasy property would probably be in Provence, in the Alpes-Maritime to avoid the worst of the Mistral wind. It would be a maison of pale stone with a flower-filled terrace and sparkling pool overlooking the bay of Villefranche-sur-Mer and Cap Ferrat. It would be shabby-chic inside, all white and neutral colours with shutters painted ‘greige’, a subtle mixture of grey and beige. Note to self: Buy Lottery tickets more regularly! 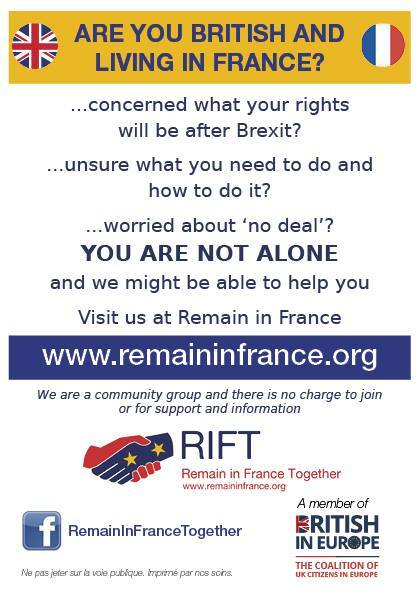 6) Do you speak French? If so at what level would you say you were? Jane: I speak French when I have to but lack confidence in conversational situations. I’m happy speaking in restaurants and shops but avoid starting conversations. Having said that, I’ve recently made two jokes to French people, which must be progress! My vocabulary is improving all the time but I would say my level of French is still only between beginners and intermediary. Jane: A favourite past-time! I’d order a grande crème – a shot of coffee with hot milk, hopefully slightly frothy. I’d want a croissant or pain au chocolat but would try to resist and pinch the corner of my husband’s instead! 8) A quick poll – the English chocolate éclair with whipped cream filling or French éclair au chocolat with crème patisserie filling? Jane: The crème patisserie filling every time – especially delicious if slightly cold. Jane: The creamy and rich Camembert, I think. Probably the first French cheese I ever tried. I confess that I removed the rind the first few times! 10) Can you describe your perfect French apéro for us - the drink, the nibbles, the location and the company? Jane: A Kir Royale served with a few olives dressed in Provençal olive oil and a sprinkling of herbes de Provence with a drizzle of runny honey. The location would be at my fantasy home with a few friends, overlooking the Mediterranean. Can I have a second? It would be a glass of white wine, some home-grown walnuts and the company of my good friends at their home, Mas Bellonte, in the Pyrénées-Orientales. I’ve spent a lot of time there helping with their huge harvest of apples, blackberries, raspberries and asparagus … and walnuts! Jane: The sequel to Thirty-five minutes from St Tropez is well underway and I’m really enjoying being transported back to the vineyard in Provence. I’ve brought more intrigue into the story and introduced a new canine character but, apart from that, the main characters will be basically the same. I’m also currently arranging a trip to Honfleur in Normandy … on my husband’s classic Italian Lambretta scooter! It will be 50 later this year so I suggested it should have some trips abroad. Italy’s a bit too far so it had to be … la belle France! Thank you for taking the time to answer some questions about France and you and do have a great time on your roadtrip. Jane: I’ve really enjoyed it … and re-living some of the memories. Thank you so much for asking me. You can follow Jane on Facebook here, where she has some lovely photos of Provence. Thank you Jane, have a great weekend too. I enjoyed the interview with Jane very much - and was lucky enough to meet Jane and her husband, Rick over sixteen years ago in Graveson. We've maintained a friendship over the pond all these years. In fact, they were kind enough to guide us throughout Normandy and Brittany several years ago. By the way, Jane's French is much better than she lets on! Looking forward to her sequel! Thanks Melissa, I am also looking forward to the sequel!